Christmas jigsaw puzzles are great projects for families during the holidays. Family togetherness is a huge part of what makes the Christmas holiday so special, and what better way to spend time together than by sitting around a table enjoying a cup of hot chocolate and those Christmas cookies while working on a puzzle and watching a Christmas theme come to life? While reading through the reviews for these puzzles, it became clear that Christmas jigsaw puzzles have become a Christmas tradition for many families, and what a lovely tradition it is. Sunout Puzzles is a manufacturer of puzzles for people of all ages. Their puzzles run from small 48 piece puzzles to puzzles that contain over 6000 pieces. In addition, their puzzles come in 70 different sizes and shapes. 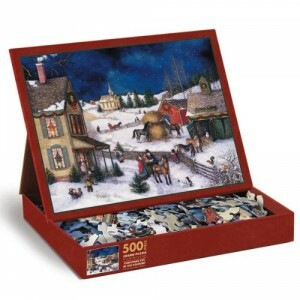 This Spirit Of Christmas Jigsaw Puzzle captures both the true meaning and the magic of Christmas. This Spirit Of Christmas Puzzle is a beautiful and richly colored puzzle with just the right features to make it ideal for anyone who loves puzzles. This is a beautiful puzzle and a true work of art. Perfect for families to put together while waiting for Christmas to arrive, or as a gift for anyone who is crazy about Christmas. Once completed, this puzzle is worth framing and using as part of your Christmas décor. Reviews for this puzzle are excellent, with most people being pleased that they purchased this puzzle. 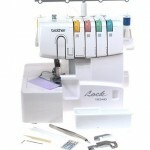 Overall, customers really enjoyed this puzzle and loved the final result. White Mountain Puzzles is a U.S. based puzzle company that offers both entertaining and educational puzzles for the entire family. Their puzzles include, not only puzzles perfect for children, but also for adults, from the novice at jigsaw puzzles through challenging puzzles for the advanced puzzleteer! The Checking It Twice Puzzle is a wonderful Christmas puzzle designed for you to see the magic of Christmas come alive right before your eyes! Fun for the entire family, this Checking It Twice Christmas Jigsaw Puzzle is sure to bring the family together while fueling your anticipation for Christmas day. Checking It Twice is a colourful, highly detailed puzzle that can provide hours of fun for anyone who loves putting puzzles together. This puzzle would make a great family project and a wonderful wall decoration when completed for your home at Christmas time. So put on those Carols, and break out the eggnog! This Checking it Twice Puzzles gets exceptionally good reviews, with customers finding this puzzle both challenging and fun to put together. All in all, customers were delighted with this beautiful puzzle and found it both interesting and challenging. Springbok is known for their high quality puzzles with uniquely shaped pieces and colorful designs. This Special Delivery Puzzle By Springbok is just one of the many varieties of puzzles this company offers. The features of this Special Delivery Puzzle make it ideal for a family project on a quiet winter’s night. This Special Delivery Puzzle really does seem special, in that it is highly detailed and incredibly colorful. Anyone doing this puzzle will love seeing this picture grow and develop before their eyes. Reviews for the Special Delivery Puzzle are very good, with most people feeling they got their money’s worth when purchasing this puzzle. Customers really enjoyed this Christmas Special Delivery puzzle and had hours of fun with it. In 1998, the Vermont Christmas Company was founded by Andrew Kelly and Bill Flynn. At first, this was a small Advent calendar company that began on a shoe string budget and was founded on the notion of providing families a way to simplify their lives with meaningful holiday traditions. Today, the company has grown and expanded, but the goal of providing families with simple ways to celebrate their holiday traditions remains the same. Their Christmas Welcome Jigsaw Puzzle is just one of the many puzzles this company offers to help promote family togetherness. The Christmas Welcome Puzzle has all the right features for those puzzle lovers who are looking for something a little different than the traditional Santa Claus puzzle. Rabbits and Ferrets and Parrots! Oh My! 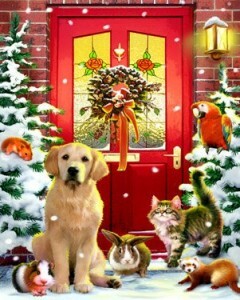 This delightful puzzle features a number of beautiful pet animals standing at the front door, welcoming guests home for the holidays. This is a puzzle that should delight children and adults alike, and be a joy to work on, alone or as a family. There are only a few reviews for the Christmas Welcome Puzzle at present. However, the reviews are excellent, with this puzzle getting top marks from customers for being of good quality and having nice thick pieces, as well as a colorful and fun design. Other puzzles by the Vermont Christmas Company also get rave reviews. 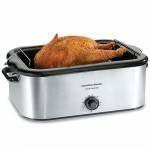 Ravensburger is known as a puzzle company, as well as a manufacturer of games and children’s toys. The Ravensburger Disney Christmas Eve Puzzle is a must for Disney lovers, as it features most of Disney’s most beloved cartoon characters. The Disney Christmas Eve Jigsaw Puzzle is a wonderful puzzle for Disney fans and children of all ages. This is a colorful puzzle with a lot of detail. It would make a great gift for any Disney fan, as well as a wonderful puzzle for any family with children to work together. Reviews for the Disney Christmas Eve Puzzle are phenomenal. This puzzle receives rave comments from most of the people reviewing it. Customers loved this jigsaw puzzle and thoroughly enjoyed putting it together. Lang is a company that produces an assortment of gifts, cards, calendars, and puzzles. Their Christmas Eve In The Country Puzzle is just one of the many products this company sells. The Christmas Eve In The Country Puzzle has some nice features that make it the perfect Christmas puzzle for both individuals and families to put together. The Christmas Eve In The Country Puzzle is a nostalgic look back at Christmases past. It perfectly captures the suppressed excitement of Christmas Eve. Unfortunately, reviews for this beautiful puzzle are few and far between. However, the limited reviews that could be found state that this puzzle is of good quality and enjoyable to complete. Christmas is all about spending quality time with family and friends, and working together on a beautiful and challenging jigsaw puzzle can really bring a family closer.